Sometimes we can hear an idea or subject matter so often that we don’t even listen anymore. We brush it off and think, yea, yea…I got it, but in reality, we might be missing something really simple. It seems old and cliché to talk about our “target market”, “tribe”, or think we don’t need to hear about knowing your customer one more time. Yet, in my experience, I find that most businesses think they know who their customers are, but when I ask them to tell me I hear things like “men”, “women”, “Millenials”. This reveals that many of us are not clear on who our core customer is. My first corporate job out of college was with a large greeting card company. (Seriously, the best job ever!). I had a position in the marketing department working with the artists, writers, and other creatives to come up with a greeting card for every situation you could possibly imagine. As a result, I had the best lesson in understanding how critical it is to know: who are you talking to? When it was time to create a new card, I had a special room that displayed every card in that line. After removing low-sellers I would study to see where there were gaps in communication. Once I determined what cards I would need, the real work began. Let’s say I needed a birthday card for a son. I can’t send a request to the art department or the writers asking for a card for a son. They wouldn’t know who to talk to. So, to give them a clear idea of our customer, I would write out a specific bio for each card. I gave the recipient a name, age, habits, family status, type of work, what the relationship was like between the sender and receiver, interests, hobbies, etc. This gave a CLEAR image of who we wanted to talk to. We must narrow down who we’re talking to as much as possible. As a result, our message develops clarity. As we created specific characters for each greeting card, it was like aiming for a bullseye. We knew there would be plenty of other people outside of our core niche that would still relate to the card, but our direction had a purpose and though it was designed for one person in mind, the message we created automatically drew in other people outside of our ideal customer. This relates to all businesses. From big corporations to microbusiness and self-employed, it is critical to create a core,a specific, customer. Aim for a bullseye. Give them a name, face, and create a detailed profile about them. Draw a picture if you have to and have fun with it! 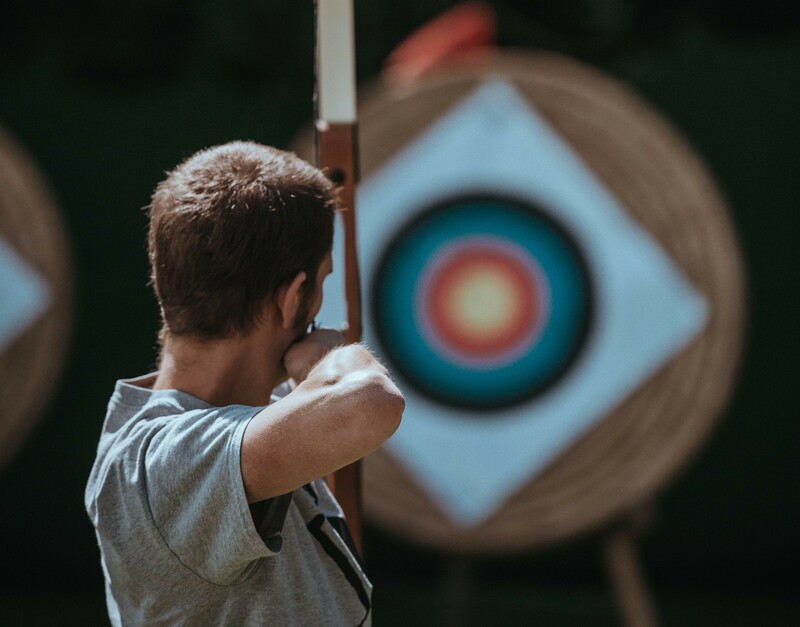 This person is your bullseye in everything you do within your business! Obviously, you will want to tailor the profile to fit within your industry. Do you want to attract other people as well? Sure! But if you stay focused on the target, the others will follow. Talk about (and to!) your core customer by name when you are making business decisions. Would Karrie enjoy this? Does this product/service meet her needs? Hey, Karrie, what do you think about this? (it’s a good excuse to talk to ourselves!) Attributing that type of a personal touch/discussion to your direction and decision making will make each step easier for you. As you grow and mature in your microbusiness, your core customer might change. That’s OK! But keep them well-defined and only change who they are if it is really necessary. Too many changes result in confusion in the business identity. Remember, the core customer IS the identity of the business. business mentoring. Click here for more info.